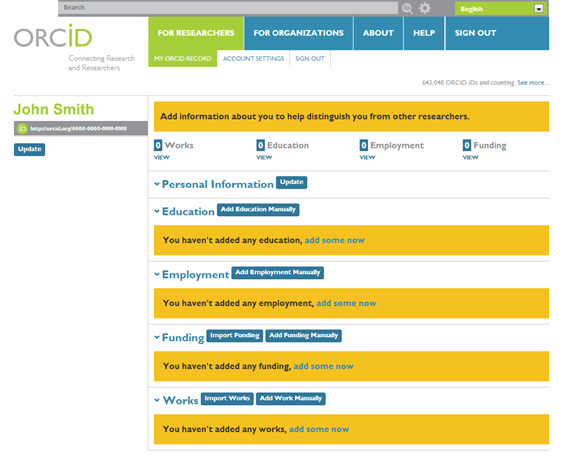 What is ORCID and how can it help you? Personal names are neither unique nor permanent. You can write or transcribe them in different ways. You can get married and change your family name. You can even find colleagues in HEP with the same name, e.g. John Smith. What happens when the John Smith you are looking for writes a paper? How do you tell him apart from his namesakes and find his articles? And does that article written by J.C.Smith in 1993 on [Nuclear Physics Revolution], belong to your colleague John, or Jim C. from Stanford? This is something INSPIRE has been working on for a long time. We introduced INSPIRE IDs to uniquely establish your identity in our HEPNames database and more recently Author Publication Profiles, such as J.Q.Physicist.1 to collect all your papers together. But this is only for HEP, what about the wider world? Publishers introduced their own identification systems, so you probably have noticed that you have ended up with many IDs that describe your academic publications and CVs. These disparate identifier systems suffer from only partial coverage of a researcher’s corpus and interoperability issues.ORCID to the rescue! ORCID (Open Researcher and Contributor ID) is a non-profit organization supported by a global community of organizational members, including research organizations, publishers, funders, professional associations, and other stakeholders in the research ecosystem which has developed a unique researcher identifier that distinguishes you from other researchers. 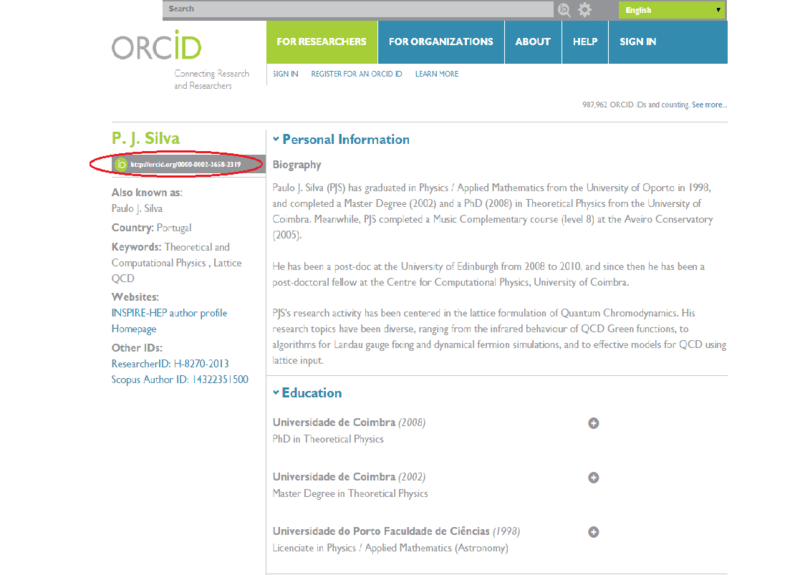 ORCID ID can hold a record of all your research activities, variants of your name, affiliations, etc. You can also use it for manuscript submissions to most of the major publishers. It helps you centralize your information and sign your work unambiguously, no matter how your personal details, affiliations or field of work change. It is also an invaluable tool to track impact and grant credit to authors. It is a single identifier that follows you throughout your career. Having an ORCID ID gives your professional circle the ability to see your publications and your work experience. To sum up, ORCID can provide you a detailed professional record, something that can be a very useful tool for researchers that want to keep their publications and research in the spotlight. Moreover, some of the biggest research libraries as INSPIRE are collaborating with ORCID, to offer one unique and widely accepted ID. To begin with, an ORCID ID is a unique 16-digit code (e.g.0000-0002-5769-7094), given to you upon the registration of your ORCID account. After registering you can manage all your information from your profile page. You can add as many details as you want and set the level of privacy you desire for the information you enter (public, limited, or private). If you are interested in creating your own ORCID, just click here. INSPIRE has been working on some exciting new features! Publications are leading to their respective authors but with help from ORCID, INSPIRE is going to be sure about the author’s identity and the procedure to claim your own publications will become easier. Keep an eye on the INSPIRE-HEP blog and twitter for our next blog post, to better understand ORCID’s significance and use for INSPIRE and INSPIRE Labs!